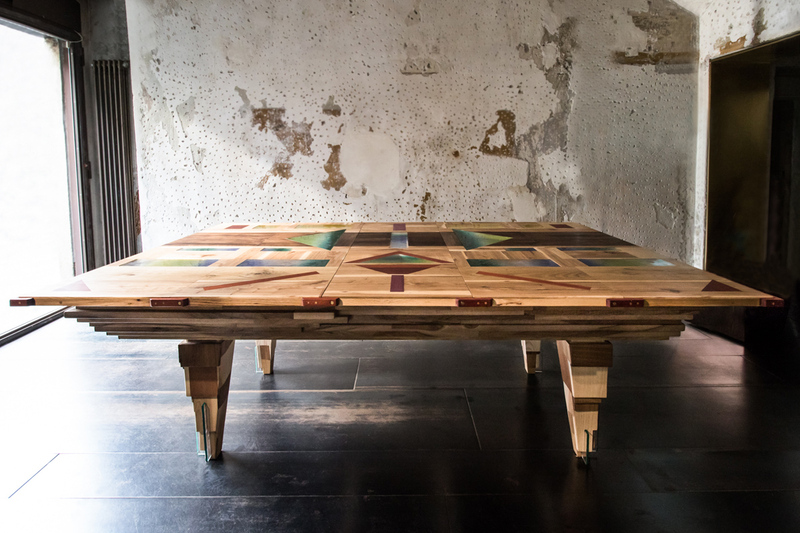 table games [ billiard tables ]. 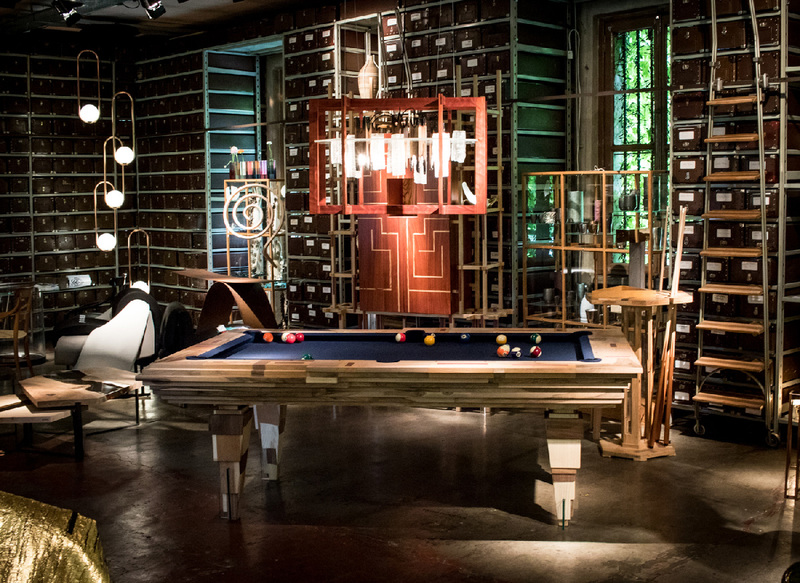 The Pool Table LIGHT TROPICS is a collaboration between Hillsideout and Hermelin Billiards Milan – leader in the industry since 1825 – and was built around the concepts of elegance, light, contemporary and handmade design. 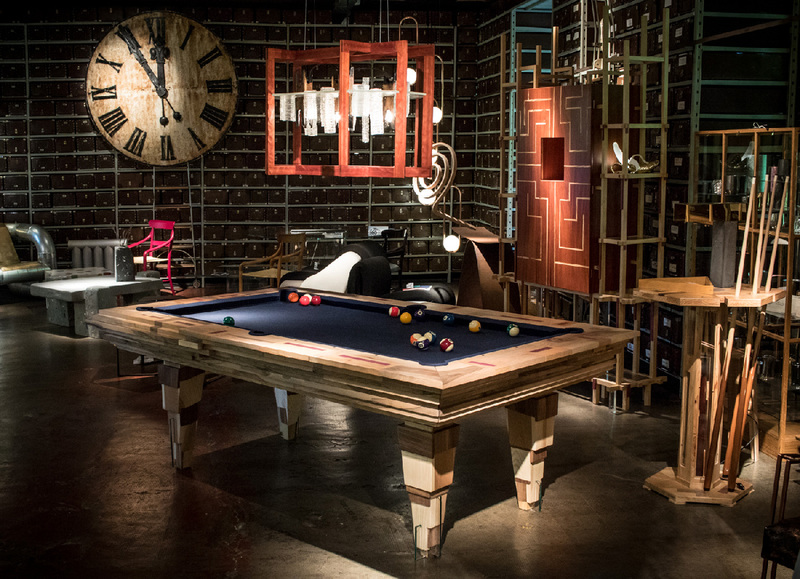 After the first American Pool tables MEXICO and CHAAC, Hillsideout introduces this light version for home-use. 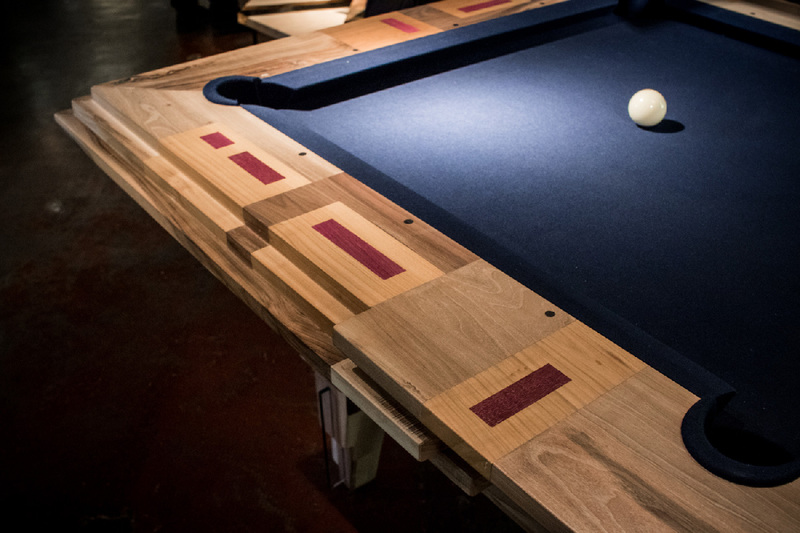 LIGHT TROPICS is smaller in size and 7 times lighter than an American Pool table. The heavy slate usually used for the top has been substituted with bakelite. Its weight is about 100 kg. 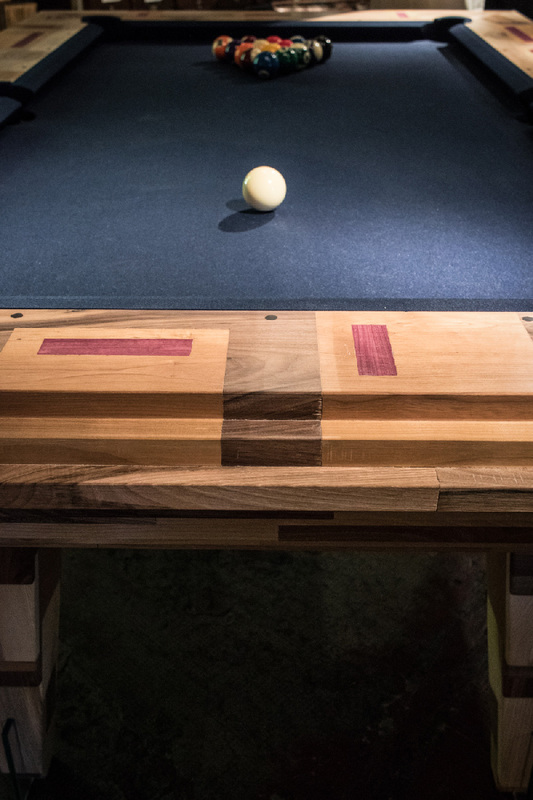 Besides being a billiard table, it is also a cocktail table due to the paravent which works as well separately. 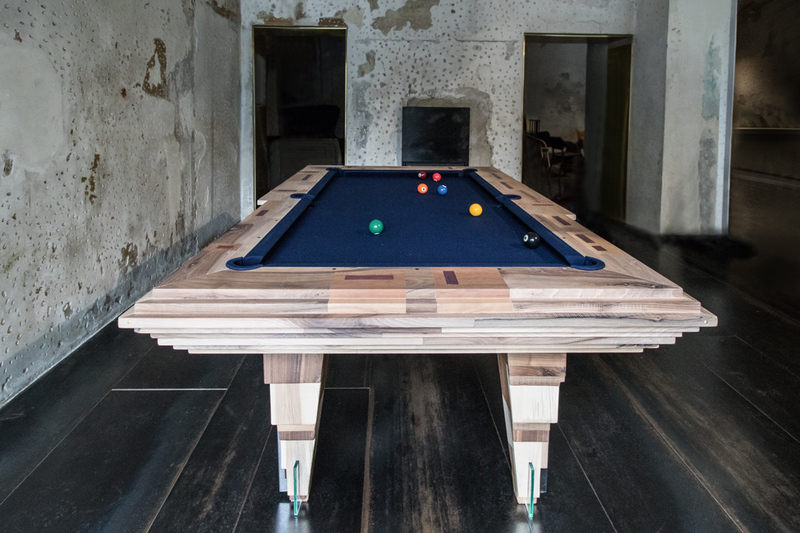 Hence, the billiard table comes with a paravent-cover which can be used horizontally and then the billiard table becomes a cocktail table. And int can be used vertically as a standing paravent which five parts can be moved easily. 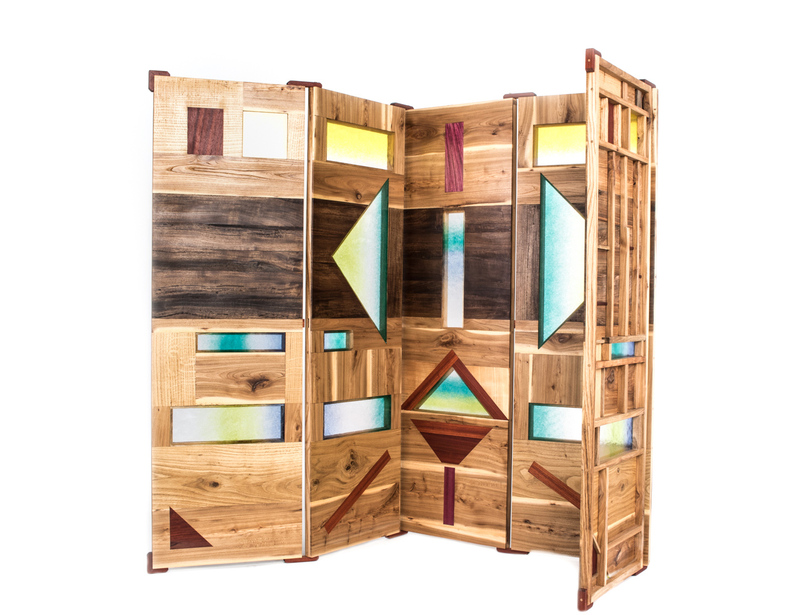 The woods used is a mix of Italian and certified colourful Amazonian wood. 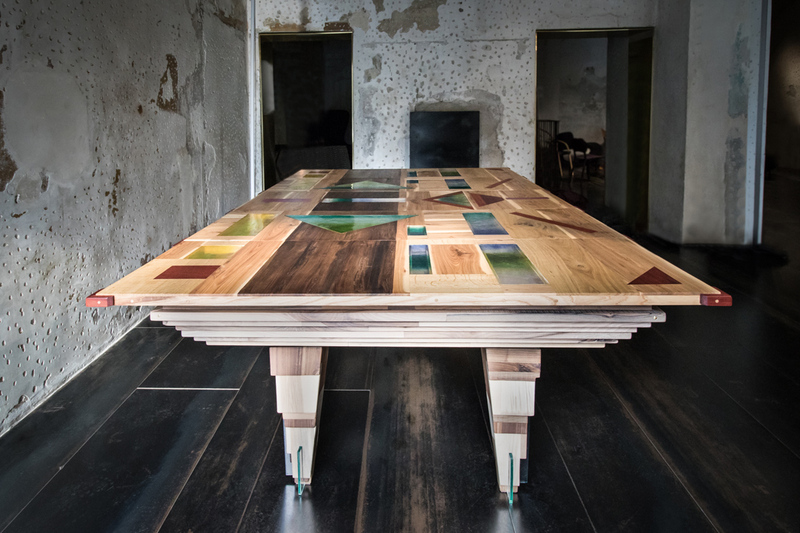 It is a very pictorial piece due to the beauty of the hand designed colourful inserts made of wood and Murano glass. 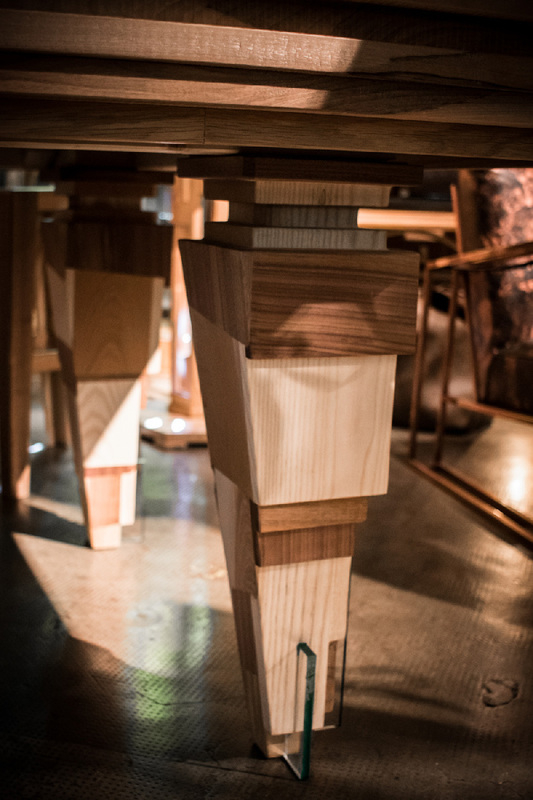 Even the four table legs were inspired by painting. 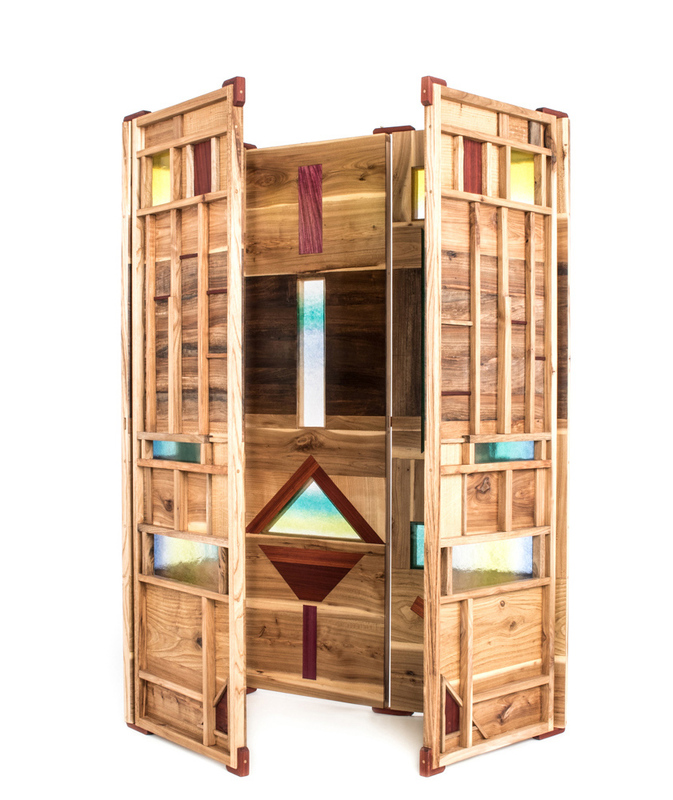 The paravent-cover Light Tropics represents a mask which is inspired by a group of indigenous people called the Caduvei (or Kadiwéu) still living in few villages in the Brazilian jungle. In the late 19th century the Italian painter and very authentic traveller Guido Boggiani was the first who portrayed the Caduvei women with their outstanding body and face paintings made of urucù pasta. These images, both drawings and photography, prove beautiful decorations which disappeared in their complexity. 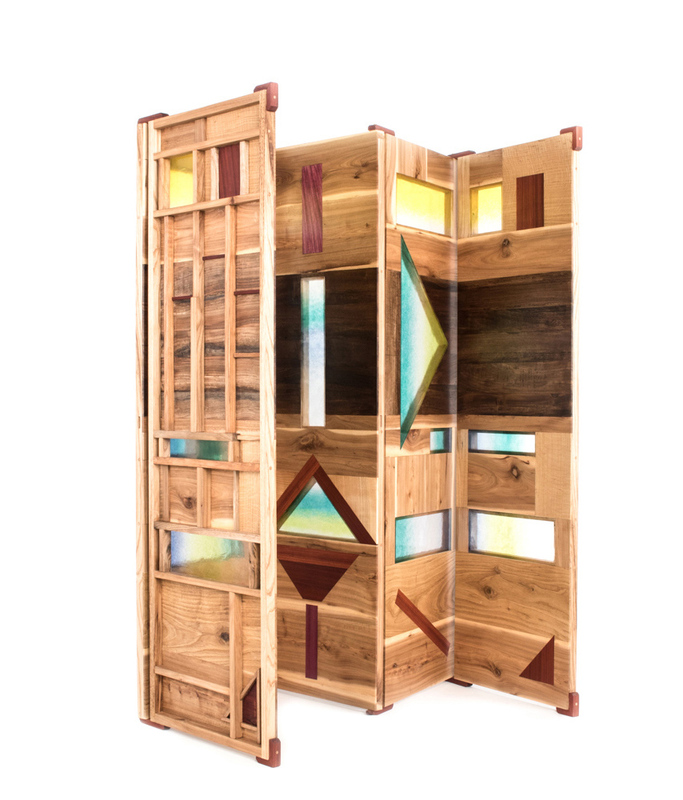 We stylized a face painting by using colorful elements like burnt Murano glass and naturally coloured woods from Brazil to emphasise the approach of wild life as Boggiani highlights the importance of their living in complete harmony with nature. This piece shows the historical complexity of two continents by applying and respecting very different traditional handcraft. Weight: about 100 kg | Editions: 7 + 1 a.p. 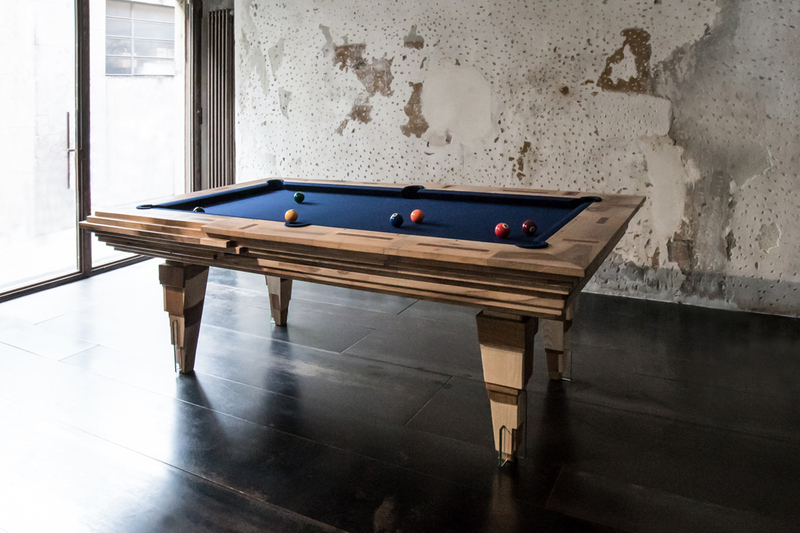 Also available as “American Pool”, “English Snooker” or “Russian Pyramid” with cm 360 x 180 field game (12 feet) and 6-8 legs.